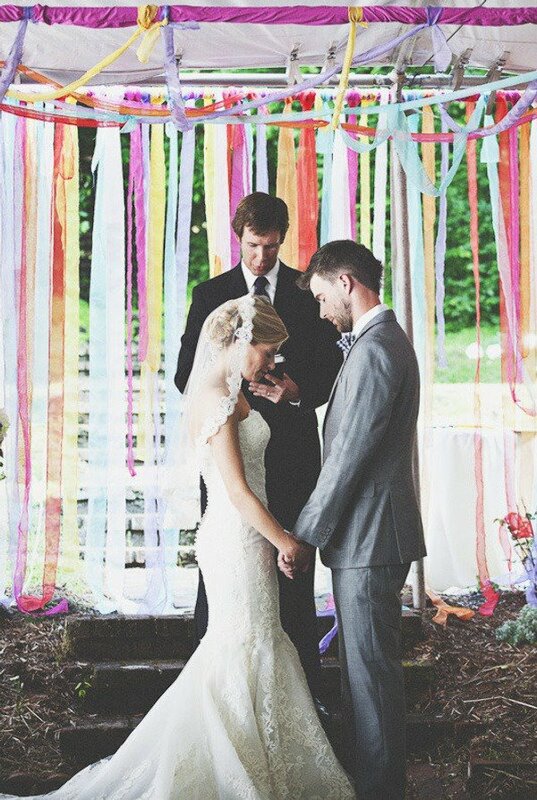 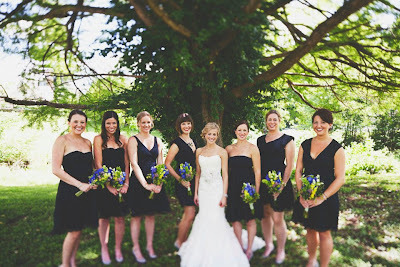 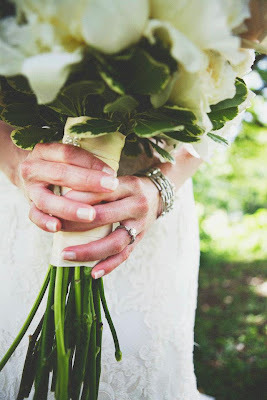 Katie and Wes had their ceremony and reception at the Gardens at Malmaison. 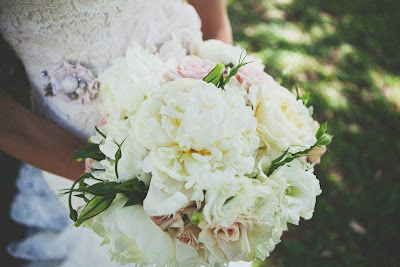 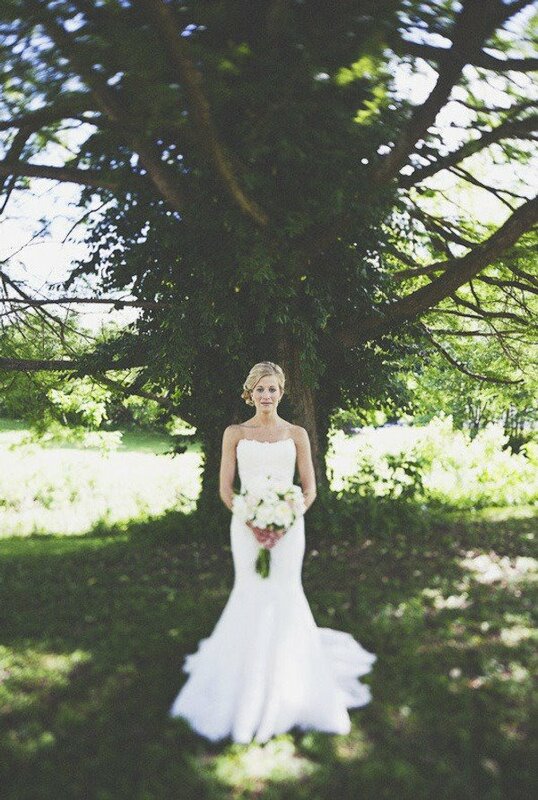 All the flowers reflected the lush gardens surrounding the bride and groom and their guests. 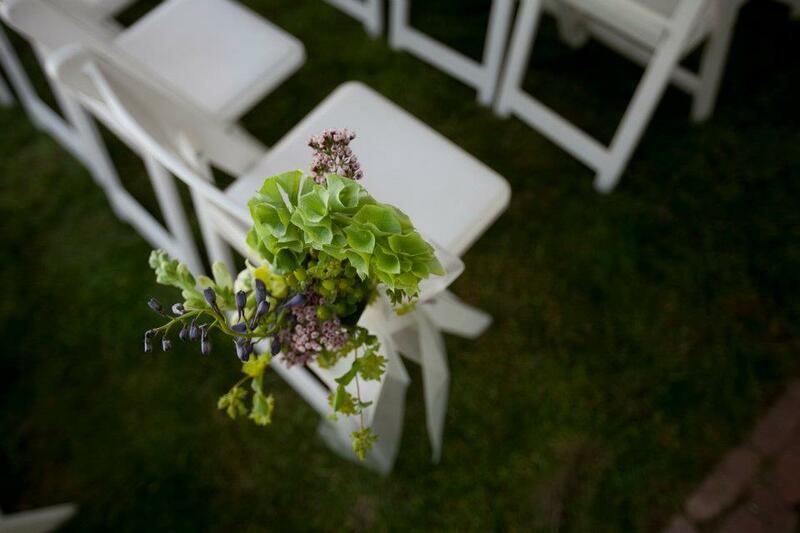 The all round, lush, white bridal bouquet was contrasted with the linear wildflower look of the bright bridesmaids bouquets- both very fitting for a garden wedding. 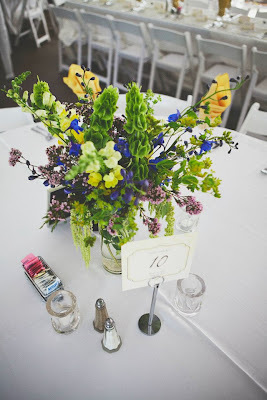 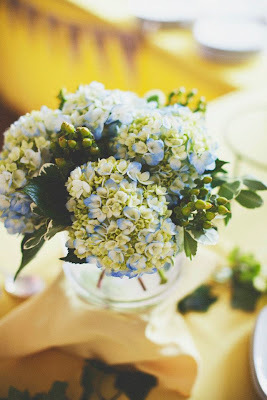 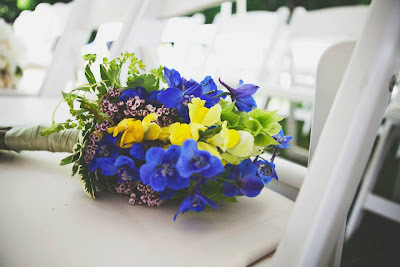 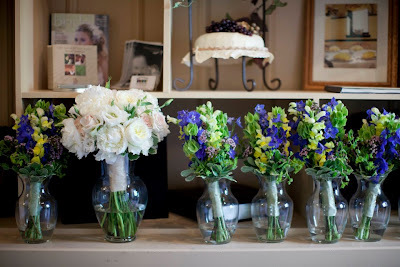 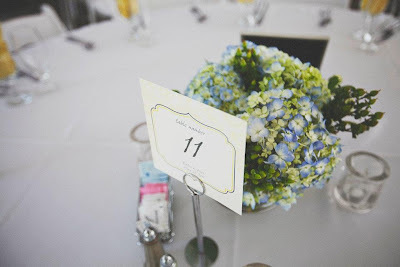 The centerpieces were a combination of the bright wildflowers and soft blue hydrangeas.